New package, same great product! Love chocolate? 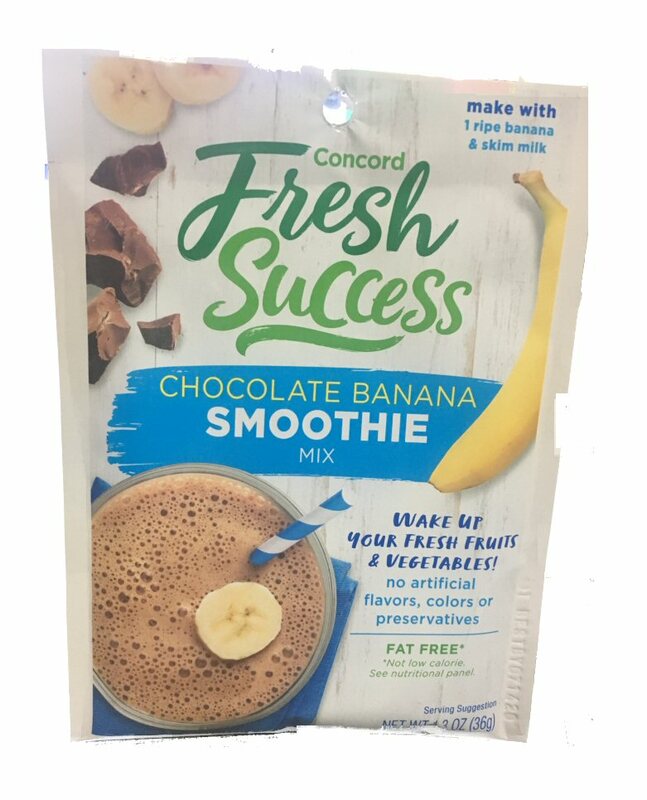 Then try our thick, creamy Chocolate Banana Smoothie Mix. The rich flavored drink is a nutritious and delicious tasting treat for the whole family. 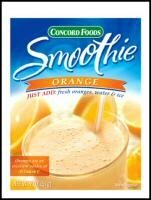 If orange is your color, then our thick, creamy Orange Smoothie Mix with all its citrus goodness is for you. 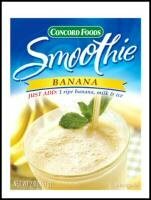 Blended with orange slices, water and ice, each packet contains enough mix to make 1 quart of light & refreshing smoothie. 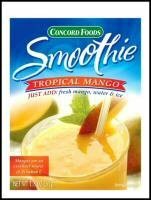 Prefer the taste of the tropics? 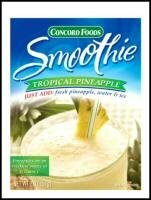 Blend Tropical Pineapple Smoothie Mix with pineapple chunks, water and ice to make a frosty and delicious exotic fruit drink. 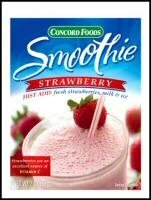 Blended with strawberries, milk and ice, each packet contains enough mix to make 1 quart of delicious tasting smoothie. Use skim milk for a low fat option. Add excitement to your potatoes. 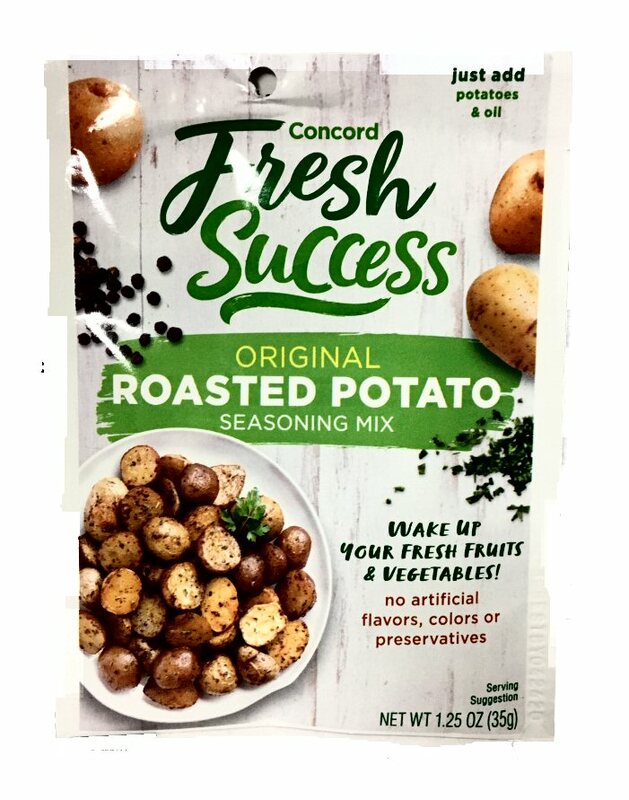 Sprinkle this crunchy, flavorful blend of spices on baked, boiled, or mashed potatoes, right from the package. No preparation required. Each pouch contains 1.5 ounces of Potato Topping. Try our blend of herbs, spices and roasted garlic to create a mashed potato sensation. This packet will deliciously season 3 pounds of potatoes. Each package contains 1.27 ounces of seasoning mix. 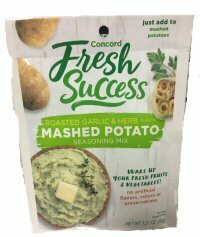 Just add milk, margarine or butter to your potatoes and seasoning mix for a great tasting mashed potato. For fresh homemade salsa, mix our authentic blend of peppers, garlic and Mexican seasonings with one pound of ripe, juicy tomatoes and diced onion to create a fresh and flavorful salsa. Each package makes one cup of fresh salsa. If you like salsa with an added kick, try our Hot Salsa Mix. A superb blend of spices, minced garlic and crushed herbs. Mix seasoning mix with oil and lightly coat potatoes and bake. Each package contains 1.25 ounces of seasoning mix and will coat 5 pounds of potatoes. Need a smaller quantity? 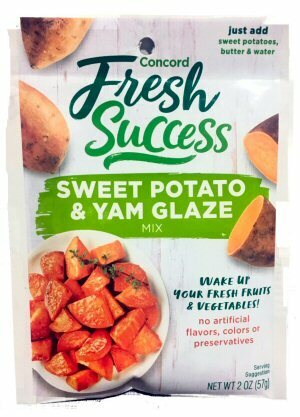 Directions on package provides recipe to coat 1 pound of potatoes.